Posted on May 24, 2017 . 1 comment. 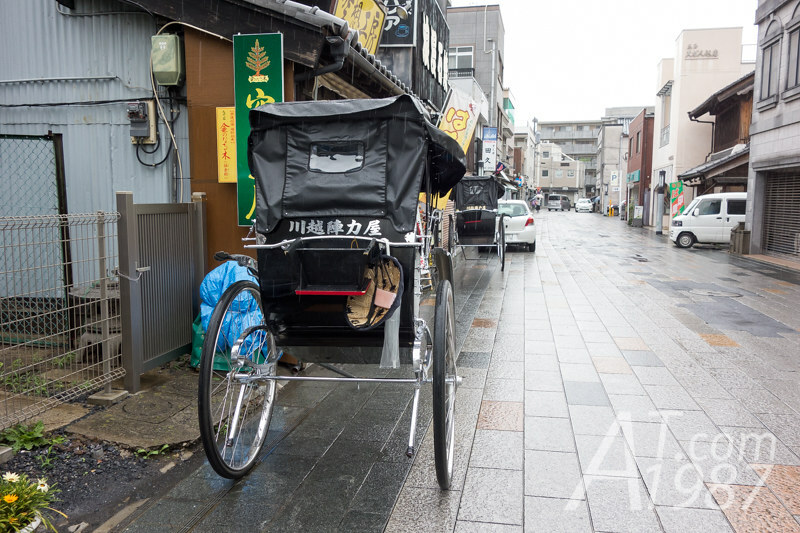 On the eighth day of my Japan trip, I went to Kawagoe city in Saitama where is famous for the Edo era buildings so it got the nickname “Little Edo”. Since an army marches on its stomach. I went to find something to eat before walking around. I went to Kawagoe by taking JR Joban Line to Nippori Station first. Then I took JR Yamanote Line to Ikebukuro Station for taking Tobu Tojo Line to Kawagoe Station. It took about an hour to go to Kawagoe Station by Tojo Line. 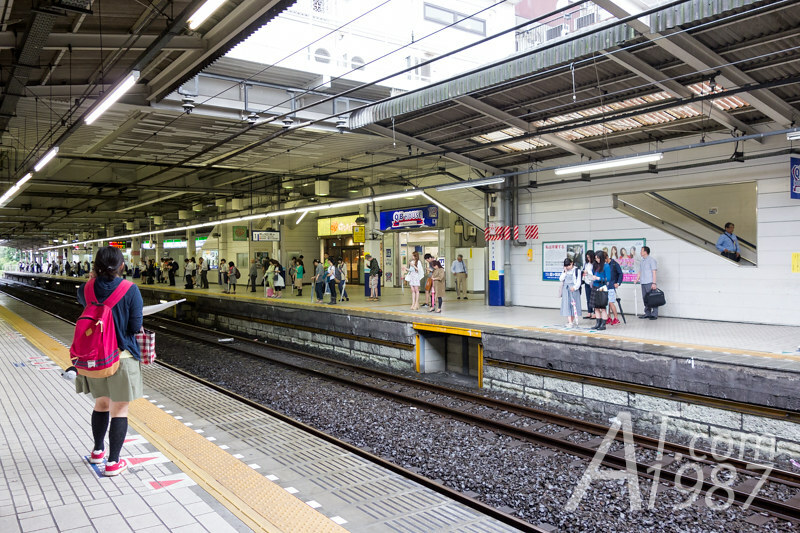 The area inside the station is shared between JR East and Tobu. 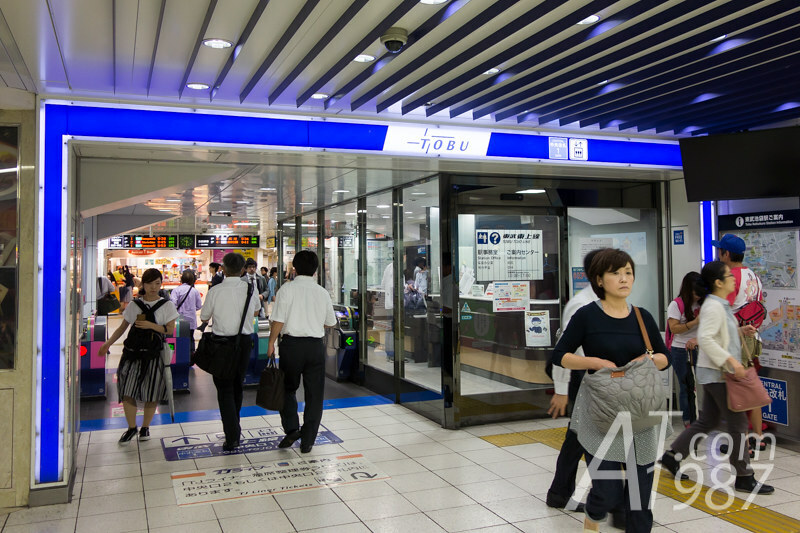 For those who travel with Tobu, you will appear at Tobu entry gate. 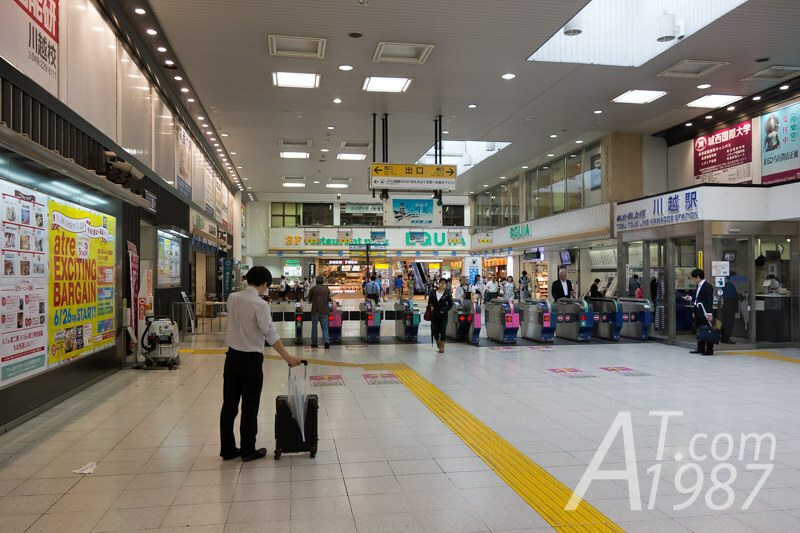 The travel information center inside the station is quite busy although it was raining. To go to the restaurant, you can walk from the station for about 20 minutes. You can also take a bus but I prefered to walk because I was afraid of its fare system. There weren’t many interesting things to see on the way to the restaurant. They were only houses or buildings. But when I was near the old town area. I began to see the old style building and students who I thought they attended the field trip. 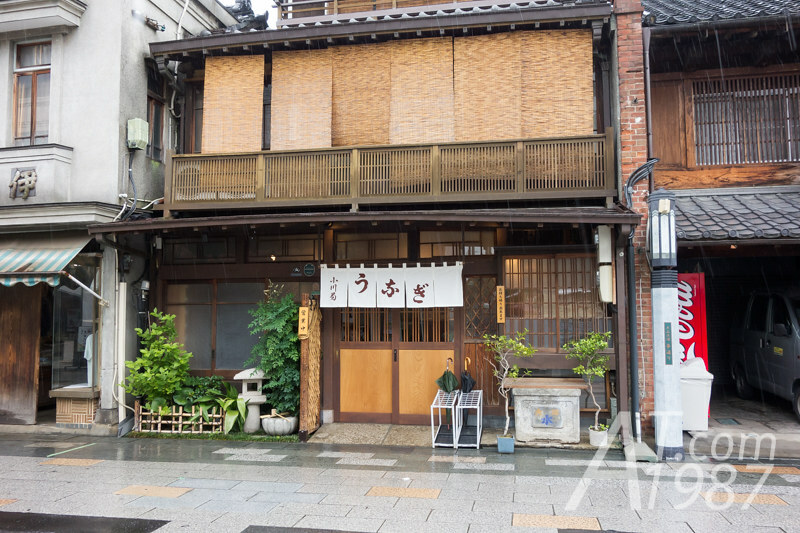 The restaurant is in on Taisho-roman street where is just before the Little Edo area. Finally I was in the front of restaurant’s old style building. 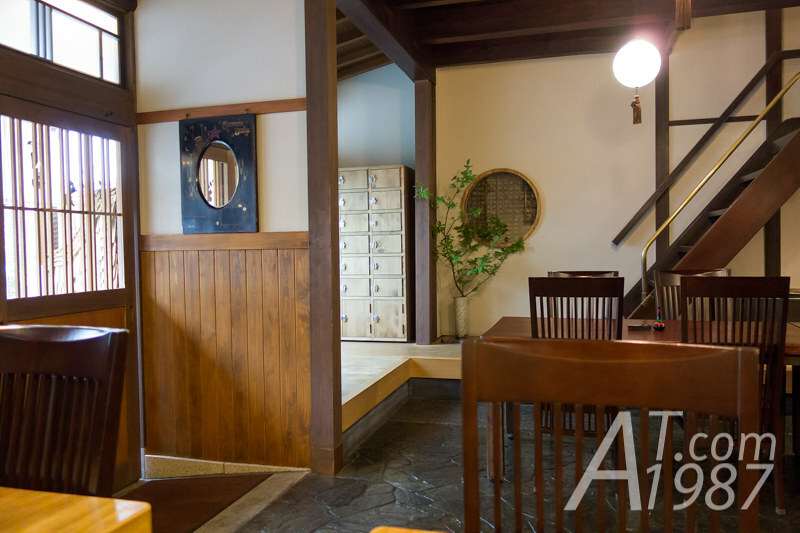 Its interior is a good mix of old and new style. After staff bring me to the table. 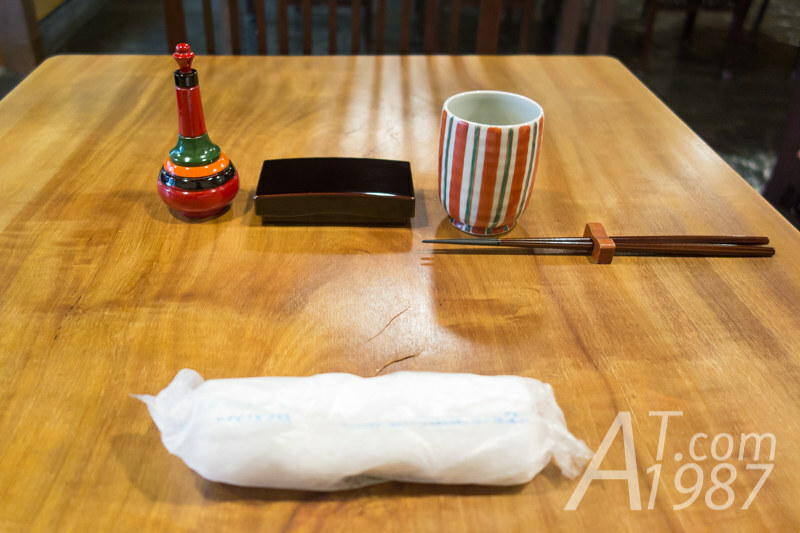 The hand towel, hot green tea, sansho and chop sticks were served. The service is good in my opinion. It took a quite time for the first dish to be served after I made an order. 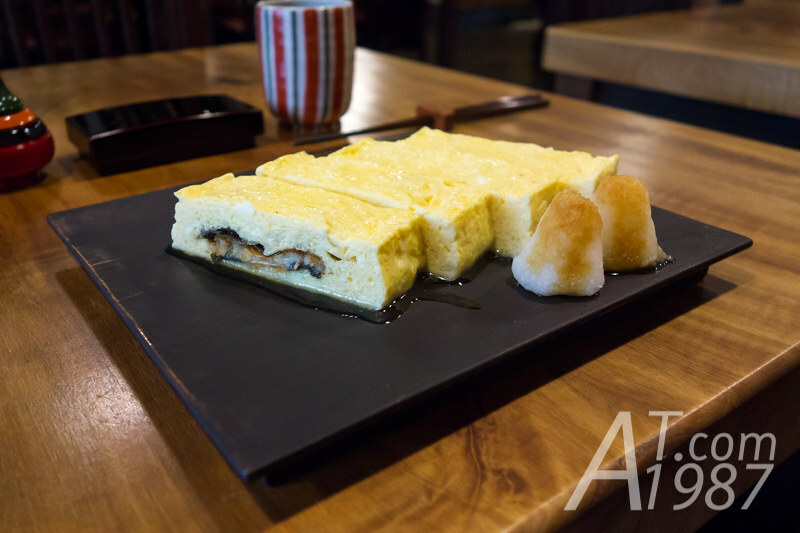 It is an eel roll omelette or Umaki in Japanese. 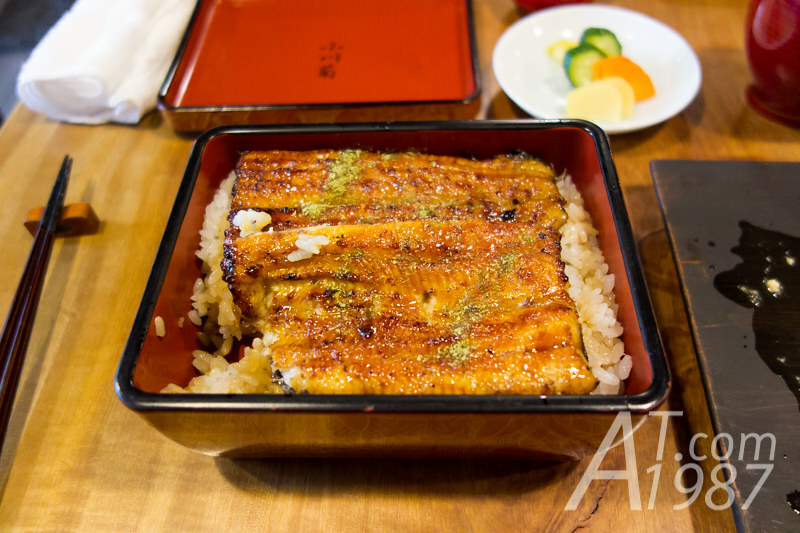 It was served with grated radish. The taste is on salty side. An omelette is soft. An eel taste is good. Overall I love it. I think it would be better if it isn’t wet like you see in above photo. 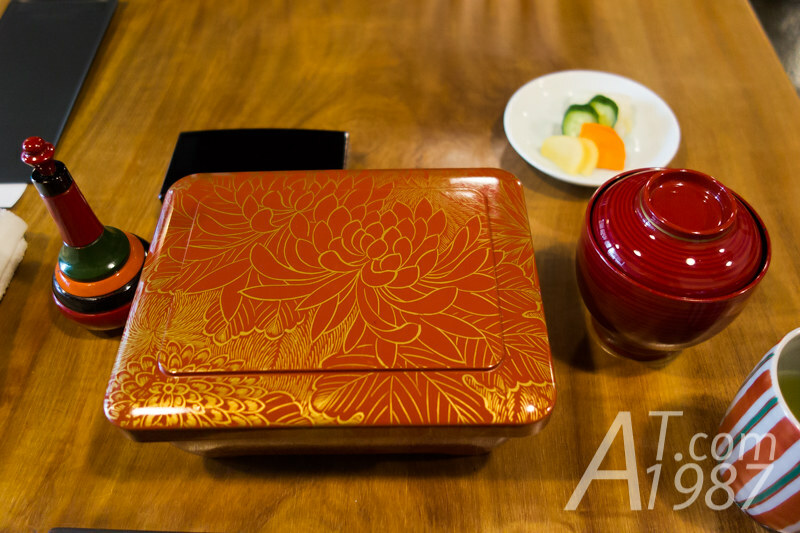 Now it’s time for a main dish that is unajuu in the rice box with pickles and eel liver soup. 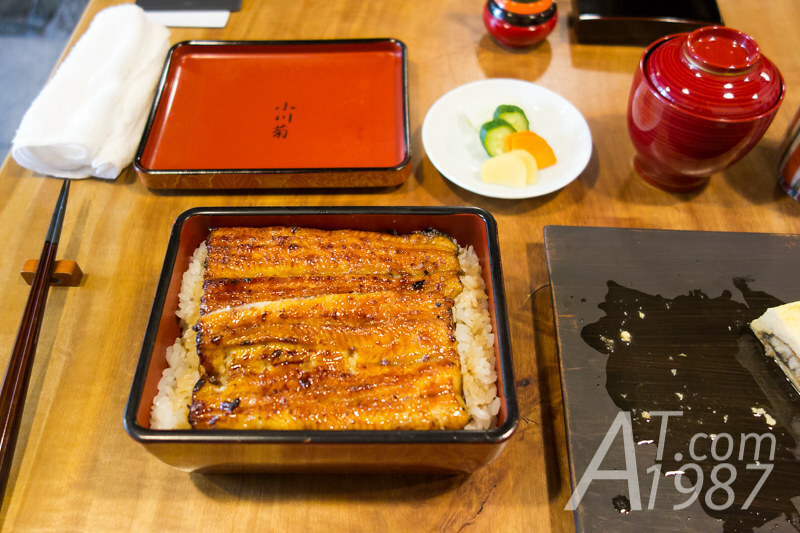 Quality of rice and eel were great. The eel was well grilled and had no bones. The taste is different from Irokawa I used to eat last trip. 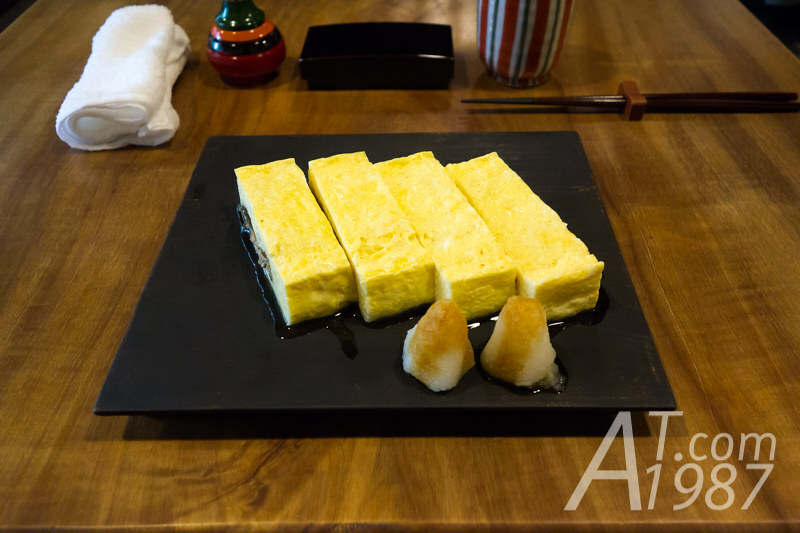 Ogakiku taste is more salty and not put a lot of sauce like Irokawa. I think people who don’t like sweet or a lot of sauce may prefer this. For me I prefer sweet and a lot of sauce one. 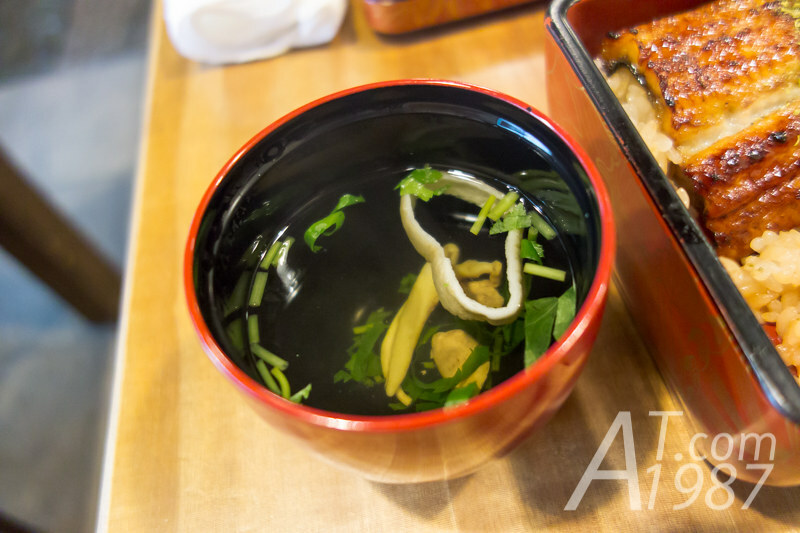 The soup served with rice is an eel liver soup or kimosui in Japanese. It is the soup usually served in the real unaju restaurants unlike a normal miso soup I had at Sukiya in the earlier day. I think the taste went well with the rice and eel liver wasn’t smelly. 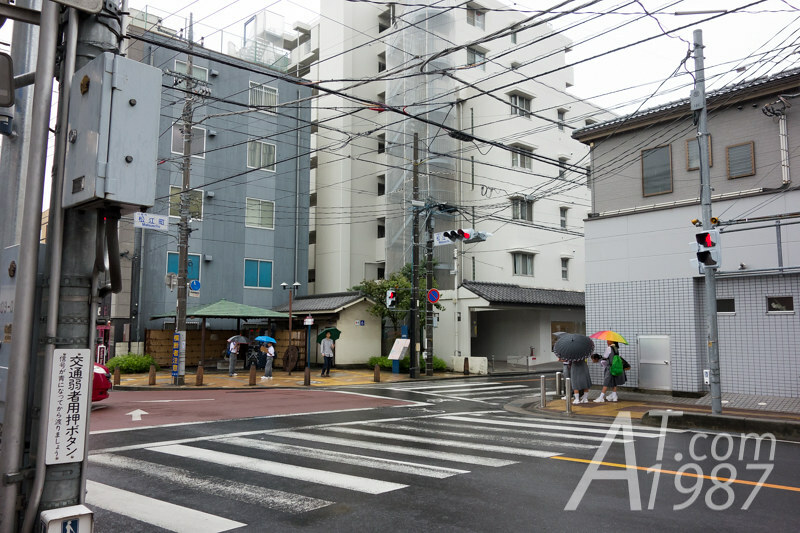 Next time I will write about the Little Edo area in Kawagoe. Please look forward to it. Japan Trip 3 : Goodbye Tokyo. See you next time.